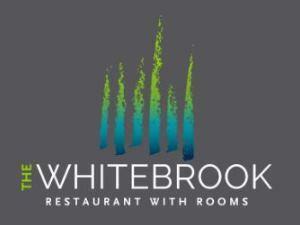 The Whitebrook01600 860254work RestaurantThe Whitebrook is inspired by its surroundings. Forests rise all around, a stream meanders through the brook, goats graze in fields and deer amble past the door. This idyllic setting invites you to come and experience the peace and tranquillity of the Wye Valley. "It has always been my ambition to be a chef since the age of 7, from family holidays travelling around Britain and Europe, staying in restaurant with rooms, a vision was born, to have my own restaurant in the country. A place where I could give my very best for the customer, with a few rooms for guests to enjoy after a wonderful dining experience, a terrace to enjoy a drink on a summer’s day and all this surrounded by a garden where I can grow my own produce for the menu. At The Whitebrook I have gone one better – I am surrounded by the Wye Valley and some of the best produce in the country." We are proud holders of one Michelin star and 4 AA rosettes putting us amongst the top restaurants in the country.